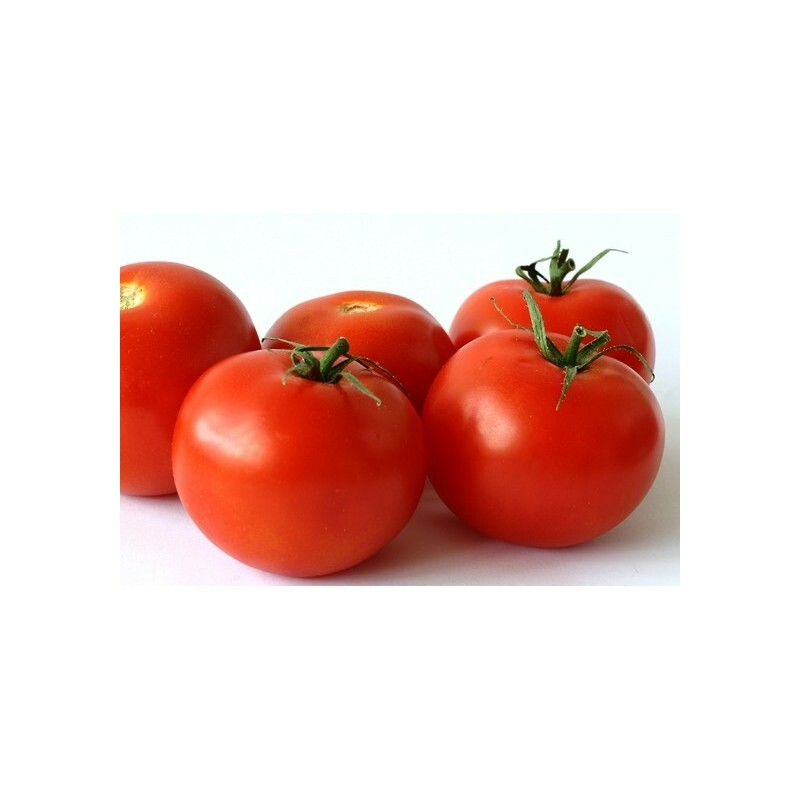 Ace is a heirloom variety, producing beefsteak type fruits on strong growing determinate plants. The bushy plants are strong growing and suitable for outside growing. The fruits are medium sized beefsteak, average 160g, and there are between 10 -15 on each plant. 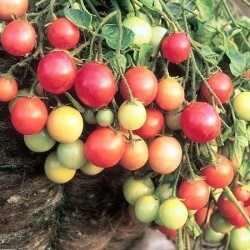 This variety can be raised outside, so give this a try even if you are a novice gardener. 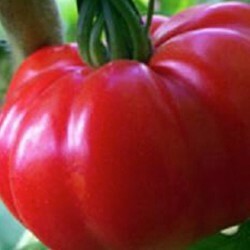 Our other very popular beefsteak type tomato is Black Krim, which is a dark purple tomato with exceptionally good taste and good cold tolerance. 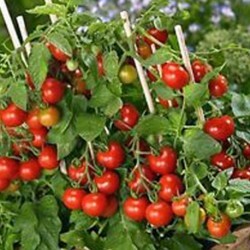 Because of the heavy crops this bush variety does need some support in the form or short canes or if you grow the plants in rows, in a form of strong net. Also the lower yeallowing leaves need removing towards the end of the growing season, this will aid air curculation around the plants and around the fruits. Sow the Ace tomato seeds thinly (1 cm deep) into a seed tray or in small pots or cells, covered lightly, watered and placed at between 15-25 Celsius on a windowsill, heated greenhouse or propagator. Sow February - April. Germination takes 8-11 days. As soon as seedlings are large enough to handle, prick out. Transplant the ace tomato seedlings into individual small pots, later on they might need to be repotted if growing quickly and large. Make sure the leaves do not overlap. Temperatures during this stage should be 18-20 Celsius. Plant outside in June 80x60 cm, or keep in the greenhouse. Keep watering in dry spells, especially when flowering and when the fruit is setting. No need for side-shoot removal, as this is a bush variety.